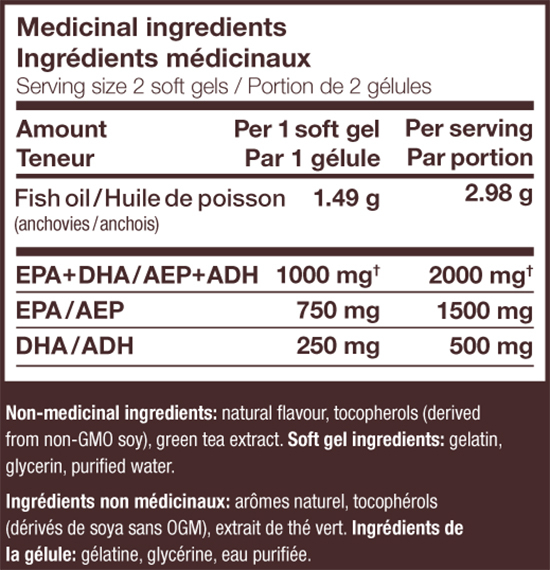 Ingredients: fish oil (anchovies, sardines, and/or mackerel), natural flavours, tocopherols (derived from non-GMO soy), green tea extract, vitamin D3. Recommended use: Beneficial for the maintenance of good health. 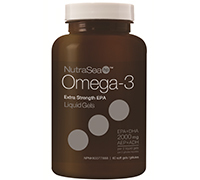 Helps support cognitive health and/or brain function. Adults and adolescents 13 years and older take 2 soft gels daily.